Charles Joseph Paul ARNOLD (called Paul) was born on February the 11th of 1909 in SOULTZ birthplace of his mother, who was living in Mulhouse and who came back for giving birth to her son in the family home. Today, Paul Arnold is dead but he is the author of many books. He was a very active man writing many books and also being a very important Magistrate first at the Ministry of Justice, then as the Presiding Judge of the Court of Justice in Paris. He was the very model of zeal and of haste at the Court. He was also a landscape painter. He loved going to the ruins of the castle of Wildenstein, from them drawing a plan of the castle as it once stood. When he was 15, he went through the archives of Kruth and Oderen in order to draw a family tree of his ancestry back to Claude ARNOLD. He wrote poems when he was young and published them on 1926 when he began to study arts and law at Strasbourg and then Paris. He began a true writer in 1946 when he published his book « Frontières du théâtre » which the Académie Française awarded the next year. Then he founded a magazine called « La revue Théâtrale » under the patronage of Louis Jouvet, Baty, Dullin, Barrault, Vilar and the in collaboration with famous authors. He was its manager until 1958. Books, novels, poems, essays followed one after the another. In 1961, he was the press favourite to win the Prix Goncourt for his novel « Une larme pour tous » edited at Mercure de France. He revealed the mystery of Fraternity Rose-Croix in a book titled " La Rose-Croix and its connection with Freemasonry " published at Maisonneuve and Larose in 1970. In it he revealed the sources of this spiritual group in Strasbourg. A work about the hidden meaning about the Shakespeare’s plays « Clef pour Shakespeare » Librairie Vrin 1977 he translated for the theatre by the way in the form of 20 limited edition books. While his plays were being performed in theatres and on the radio he decided on 1956 to go and discover the world : Scandinavia – Greenland – Iran – India – Burma – Thailand – Cambodia – open China. In 1959 he met for the first time lamas, monks from Tibet who had taken refuge in Darjeeling, It was the beginning of an amazing adventure. For two months in 1961, he travelled around the world: Argentina – Peru – Bolivia – Yucatan of Mayas – Mexico of Aztecs – Japan where he met a young lady who four years later would become his wife. He returned four times to Japan, and six times to India, spending more and more time in a small Himalayan lamasery, learning about Buddhism which had attracted him since his childhood. In 1965, he was received by the Dalai Lama in Dharamsala for a two hour private audience. He told about all these experiences in two books: « Avec les lamas tibétains » published by Fayard and « Avec les sages du Japon » also published by Fayard, and translated in several languages. He returned to Alsace very often, to Mulhouse where his mother a widow since 1950 was living and whom he and his wife loved very much. She settled in Paris on 1973 in a house that Paul, his sister and family shared. She died some weeks later at the age of 93 years old. After her death, Paul founded a Buddhist association to teach their way of living. In Jura he opened a spiritual centre to which some Monks from Tibet and a Zen senior lecturer came. In the same year he organized along with other other associations a European Buddhist Conference and proposed a European Buddhist Union. He founded the Union in 1975 with other countries from Europe and remained the Chairman for a long time. The following year, Albin Michel Editions asked him to write a story about ALSACE and about spiritual movements in his birthplace. 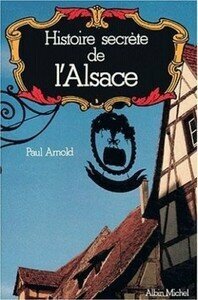 He wrote « Histoire secrète de l’ALSACE » published in 1979 evealing the Celtic substrate language of the Alsatian story. Since he had gone to Yucatan, another mystery interested him: the origin of the Mayas and the secret of the writing which was deciphered. He solved this double mystery when in 1978 he showed a very close connection between the language of the Mayas and that of the Chinese. Thus for the first time he was able to translate the only three books written by the Mayas which escaped destruction. « Le livre des morts Mayas » at Laffont Editions in 1978 translated in German, Italian and Spanish. In 1980 his novel « Le neuvième soleil » was published at Curandéra Editions, It was a symbolic story, difficult reading, which in 1981 was awarded the Grand Prix de la Littérature Esotérique. Then he turned his attention to the mystery which fascinated him from his childhood: the Basque! At 14 years of age, he began to learn the Basque. He showed in his book « Le mystère basque dévoilé » at Rocher Editions in 1983 that Basques are the direct descendants from the Cretans who lived before the Greeks, and were carriers of the marvellous civilization which disappeared 3000 years ago. He was able to translate the language and in this way a part of the humanity was told. He was mentally young and in good health. He wrote 51 books. 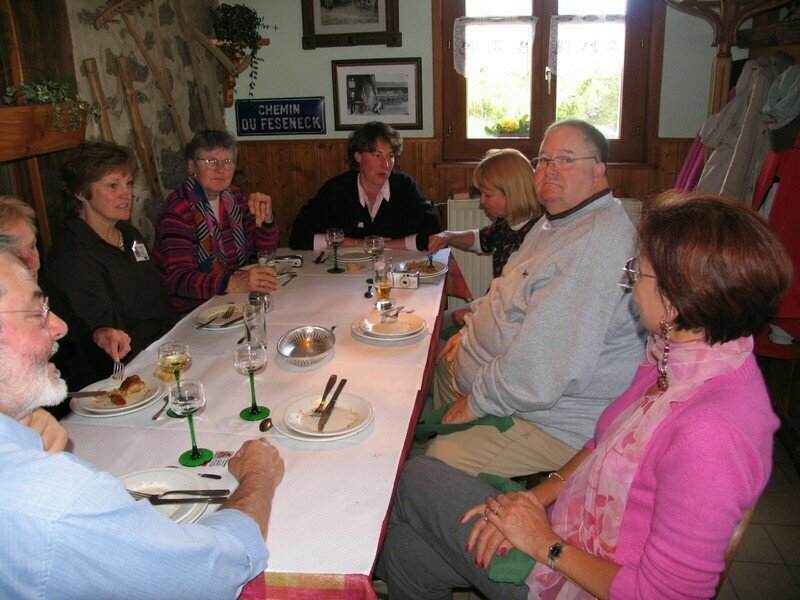 He never forgot Alsace and his birthplace: Kruth where he owned some lands passed down through generations. (3). He died in his beautiful house in 1992. I am sad not to have met him. Biography published in our bulletin Bonjour les Cousins n° 8. – Lucien branch ABF Claude ARNOLD – by Antoine – Georges – Jean (brother of Joseph immigrated to Texas) Augustin (who was a Mayor of Kruth) and Lucien then Paul ARNOLD. – Claire wife of André LEVADOUX, Councillor at Court of annulment.